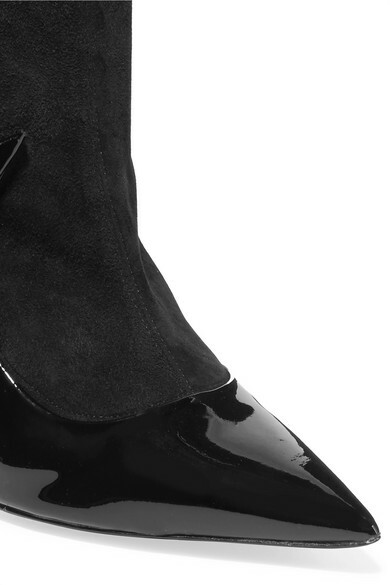 Matteo Mars' 'Stocking Ala' boots look like pumps paired with socks at first glance because they fit so well. 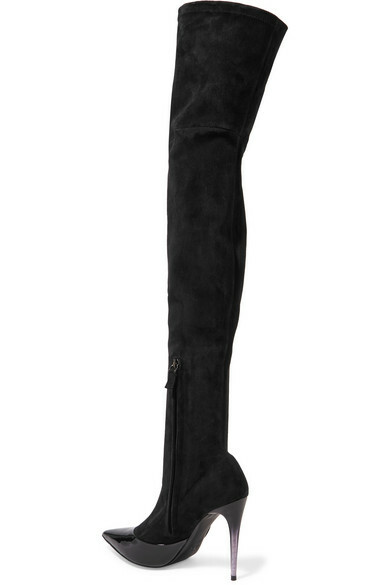 Made in Florence, this over-the-knee pair is cut from suede and patent-leather, and set on the collection's signature dégradé heels. Try wearing yours beneath tonal maxi or midi skirts. Shown here with: Alexander McQueen Shirt, Off-White Jacket, Joseph Skirt, Alexander McQueen Clutch.